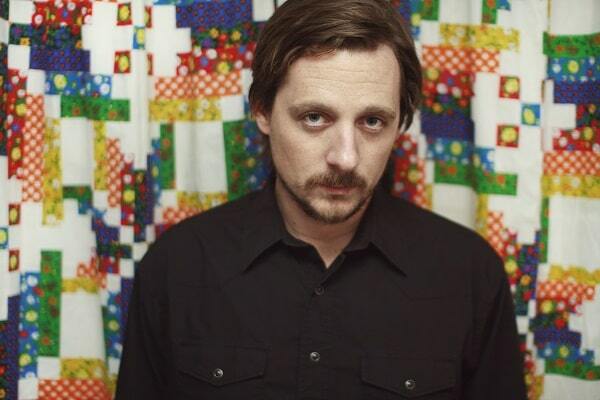 Sturgill Simpson‘s Metamodern Sounds in Country Music is not quite like anything else you’ll probably hear this summer. It has deep roots in much-loved country music traditions – parts of it could pass as lost tapes of The Outlaws – but it explores the self and relationships with others using Buddhism and psychedelic experiences, among other points of reference. It’s a work that successfully blends trucking anthems, English pop hits from a quarter-century ago and psychedelic musique concrète freakouts. Just before the album hit physical and digital shelves in May, American Songwriter caught up with Simpson to learn how he pulled that off. While many things about Metamodern Sounds mark it as “a country album,” it’s not a neat fit in that genre box. Can you tell me a little more about your goals for the record? With High Top Mountain, I set out to make a very traditional hard country album. I didn’t want to turn around and do it again. I have a lot of other influences I’ve never incorporated; I’m still kind of clearing my throat. Last year, after every show, all I heard from fans is “Man, I don’t really like country music, but I love what you guys are doing.” To me, nothing tells me that we’re achieving our goal more than hearing somebody say that. There’s a lot of people out there that think they hate country, especially younger people, because they’ve never actually heard country, or what I and other people call country. The freedom of avoiding boundaries and genres is that I get to walk into a studio and write a country record about Tibetan buddhism, consciousness, and whatever else. It’s a very freeing feeling. If you’re feeling a certain way, or living your life a certain way, whether it be fearful or angry… any time you meet people like that, nine times out of ten you’re probably going to find out there’s not a whole lot of love in their life. For me, I found real, honest, unconditional understanding, somebody that supports you and believes in you when you don’t, and that’s the most powerful thing I’ve ever experienced. It really forced me to adhere to a different life goal. I feel like for whatever reason, I’ve been given the ability to make music. Using it for anything other than trying to connect with people that I would probably never know or talk to otherwise and make them happy would be a complete and total disrespect of whatever or whoever it is that gives us these things. I want to make music that I can feel good about in thirty years, and hopefully makes other people feel good right now. This is 2014. You have to encapsulate the world you live in. Otherwise you’re kind of a novelty act. I have no desire to make Conway Twitty or George Jones records because they already did it a hell of a lot better than I ever could. I’m just trying to make Sturgill Simpson records. Has there ever been a time when you were interested in entering the mainstream country world? A lot of journalists will try to pull me into that negative conversation about trashing [Music Row]. It’s not anything to do with that, it’s more to do with me. I know that they would have trouble with me – I don’t want to give up the freedom to be able to make music I want to make. To be honest, arenas and stadiums aren’t what I aspire to. I kinda dig the small clubs. I didn’t shop High Top Mountain. I didn’t shop this record. The plan was always just to put it out myself. I really don’t have a concrete answer as to why, I just always assumed that I’d save everyone the trouble because I don’t think I would fit into that world very well. There’s enormous pressure in mainstream music of all stripes, contemporary country included, to conform to the standard set by the latest hit, which encourages stagnation. I’ve spent so much of my life in a really negative space. These last years I’ve really tried to stay focused on positivity and find a positive in all those things. I don’t listen to it, I don’t know anything about it, but I do know that they didn’t invent bad music, and they certainly didn’t invent the demographic that goes out and buys fifty million copies of it. I have to tell myself that they’re putting a lot of food on a lot of tables. There’s so many branches and arms of this industry that people just don’t take into consideration. The giant crews that go on those tours and make those productions happen: all those people depend on those acts to make a living as well. Whether you like Rascal Flatts or you think they’re the abomination of modern music, the guys ponied up [more than three] million dollars to update an entire wing of the Vanderbilt Children’s Hospital. It’s hard to rag on a person that does something like that. Put your money where your mouth is. In your recent interview with Ann Powers for NPR Music, you spoke about being influenced by isolation. Can you elaborate on that for me? When I’m off the road, the last thing I want to do is go to a club or a show. It’s just slightly short of agoraphobia – I’m a complete and total homebody, almost reclusive at this point. Part of it is that there are so many amazing artists out there that I love and respect, but I know if I dug in and really listened and tore it apart, it’s inevitably going to show up in my work. I already get the Waylon thing enough, which is weird to me because I probably listened to him the least growing up. I feel like I’m starting late, and there are so many influences from early on. I’d like to get out all that stuff first before I move on to seeing what the rest of the world is up to. I don’t know that if I was sitting around reading blogs and listening to the radio all the time that I’d have written this record.